Welcome to Monolo Hair Studio & Spa! 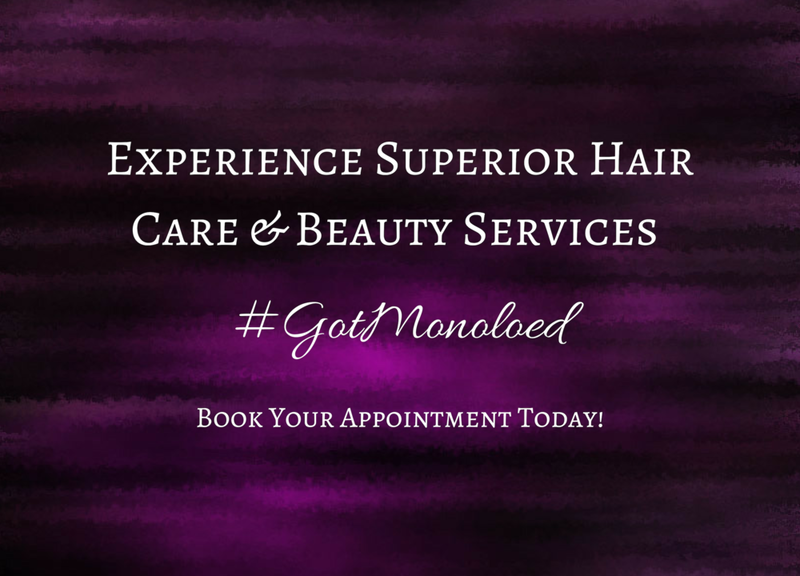 At Monolo Hair Studio & Spa our mission is to foster a comfortable, welcoming environment in which our clients can experience the superior hair and beauty services provided by our staff! We take enormous pride in our work and believe in being highly knowledgeable in every aspect of our craft, including being up-to-date with all the latest styles, trends, and techniques. This allows us to accommodate our clients' requests and help them to reveal their best individual style.We want to make you feel special and pampered by taking our time discussing your individual needs and help guide you with our expertise to finding the right style! Monolo Studio & Spa is the head to toe beauty & relaxation experience you’ve been needing! Contact us today and let your journey begin!